Photographer’s notes: I will give credit to Newfoundland for having an population that thinks outside the box. Ingenuity is a constant and invention is a requirement. But there was no way he was getting me to ride a motorized bicycle. Oh., and this is my brother. 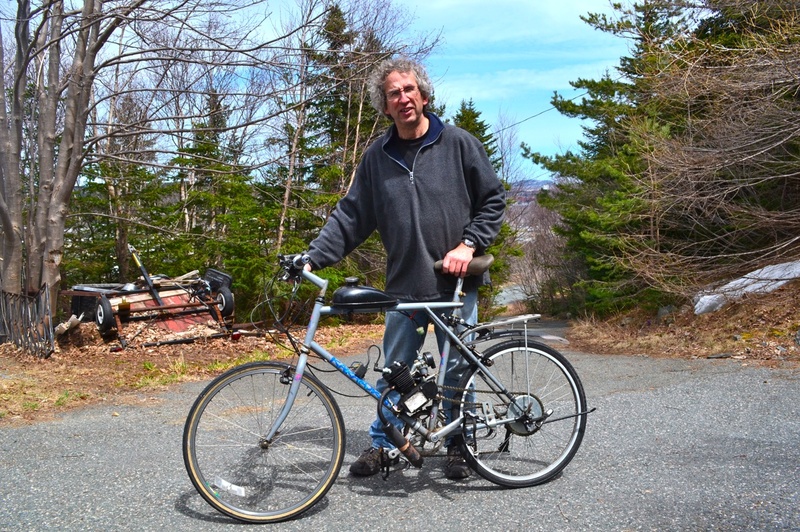 This entry was posted in eccentric, North America and tagged 2015, Canada, June, Karakoram, Newfoundland, St. John's. Bookmark the permalink.